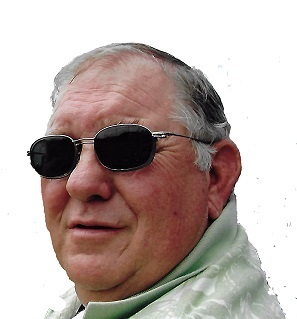 CLAYTON – Charles “Charlie” Edward Woolford, 69, went home to be with the Lord on April 6, 2019. He was born in Anne Arundel County, Md. Charlie retired from the Anne Arundel School System after many years of service. He also loved working with his family in their junk yard business. Charlie loved playing golf, but his family above all else. He was preceded in death by his mother, Edna Pyles. He is survived by his wife of 47 years, Barbara Bennett Woolford, daughter, Toni Sunderland of Clayton, 3 step-daughters, 12 grandchildren, & many great grandchildren. Funeral service 2 pm, Saturday, Divine Crossings Baptist Church, 440 Little Divine Road, Selma, NC 27576. Visitation 12:30 – 2 pm, prior to the service. Burial Maplewood Cemetery, Clayton. Flowers are welcomed or memorials made to Divine Crossings Baptist Church. Arrangments are with Strickland Funeral Home, 211 W. Third St. Wendell. Charlie was a golfing buddy at Wendell CC. I have a lot of wonderful memories that will last my lifetime. He will be missed by all. Charlie was a great guy and friend. He will be missed. Our thoughts and prayers are with Barbara and their family. Harold and I are so sorry to hear of Charlie’s passing. He fought the good fight and never let his struggle get him down. I had a great time bantering with him over politics and I know how much Harold loved playing golf with him. RIP Charlie, your job is done. We will miss that smile. True gentleman. RIP friend!